I was born to tell our stories. A lifelong interest in African American history and culture has served Ronda Racha Penrice well in her extensive career. As an English and History major at Columbia University, she challenged herself academically by tackling big topics like African American female missionaries to Africa, the Race Riots of 1919 and the life and work of Zora Neale Hurston, Alice Walker and Toni Morrison. Her interest in African American literature aided her tremendously as a contributing editor at The Quarterly Black Review of Books, a game-changing publication that coincided with the Black publishing renaissance of the mid-1990s that made Terry McMillan, Walter Mosley and E. Lynn Harris household names. Following a brief stint at New York University where she pursued individualized course study focused on the works of Alice Walker, Toni Morrison and Zora Neale Hurston, the Chicago native headed to Mississippi, from which her family hails, to pursue Southern Studies at the University of Mississippi, adding Ernest Gaines to her “writers of interest” list. But it would be popular culture where Penrice would make her biggest mark. In New York, Penrice immersed herself in hip-hop culture as well as the Black film movement. After relocating to Mississippi for grad school, she embraced the blues music her family loved while also making room for the bold sounds coming from Southern rappers inspired by the Geto Boys, particularly Scarface, Eightball & MJG and OutKast. 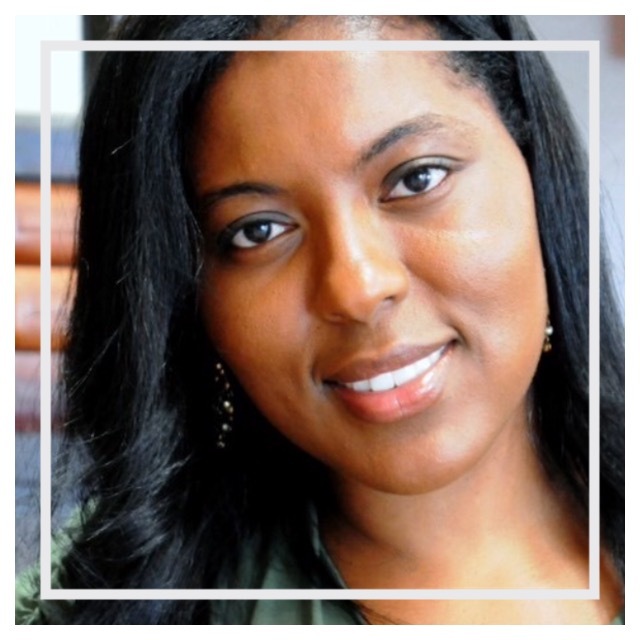 As Associate Editor for Rap Pages in L.A., Penrice, who had been enthralled with literature, music, television and all things entertaining since childhood, found an outlet to merge her interest in books, television, film, music, history and culture with a hip-hop twist. Later as a L.A.-based freelance writer, Penrice wrote for many magazines and websites, including Honey, Vibe, Essence, Savoy and Vibe.com. Working as the West Coast contributor to Essence.com, Penrice covered breakthrough projects and artists such as The Best Man and Jamie Foxx as Willie Beamon in Any Given Sunday. Through SoulPurpose.com, Penrice was able to shed light on behind-the-scenes movers and shakers like director George Tillman of Soul Food fame, Walter Latham who created The Kings of Comedy tour and Hollywood power broker Charles King, whom she profiled immediately after he became the first African American to rise from the mailroom to agent at William Morris. Penrice also indulged her lifestyle sensibilities by serving as the L.A.-based correspondent for TheGauge.com, a bold website in the vein of Time Out and Where targeting African Americans. Her talent for honing in on the Black audience attracted the attention of legendary Hollywood publicist Roz Stevenson who immediately hired her as her first employee, schooling her in film publicity, as Roz Stevenson Public Relations became the premier agency for reaching the Black moviegoer. Films for which Penrice played a significant role include Bring It On, The Fast and the Furious, How High and Nutty Professor 2. Major accomplishments include helping to secure an industry-changing Janet Jackson cover for Honey to promote Nutty Professor 2, Don Cheadle’s first-ever Vibe feature for The Family Man, acclaimed model and maverick Maybelline spokesperson Tomiko Fraser’s first Heart & Soul cover for the film Head Over Heels, as well as co-handling Gabrielle Union’s first real public relations career push for Bring It On. Nostalgic for the magazine life, Penrice re-shifted gears, relocating to Atlanta, first serving as the Associate Editor and later Editor-At-Large of Upscale where she expanded her travel and culinary coverage, while also adding automotive to her repertoire. Circling back to television, Penrice created and helmed the “Remote Control” column for AOL Black Voices before eventually spearheading small screen coverage for EbonyJet.com. Joining UPTOWN in 2005 as Atlanta Editor during its regional expansion, months after its 2004 launch in Harlem, Penrice, who regularly contributed to its website, UptownMagazine.com, eventually served as Deputy Editor before departing in summer 2014. Penrice has appeared on radio and television programs led by such well-known personalities as Mitch Albom, Russ Parr, Roland Martin, Joe Madison and Tamron Hall. She has also traveled to over 20 countries, including seven in Africa.